Three years ago if you were to make a list of cities at the forefront of progressive climate change policy, San Diego would not be on the top of that list. But that changed in 2015 when the San Diego City Council unanimously approved a legally binding Climate Action Plan seeking to cut the city’s carbon emissions in half. The plan calls for San Diego to get 100 percent of its energy from renewable energy by 2035. It also has an environmental justice component and seeks to change the percentage of residents who commute to work in cars. The plan posits a bold paradigm shift for San Diego – a city of sprawling neighborhoods whose residents are closely tied to their cars. Only 13 percent of San Diegans commute to work on mass transit. The plan seeks to increase that rate to 50 percent. The plan owes its origin and success to Nicole Capretz, founder and executive director of the Climate Action Campaign. 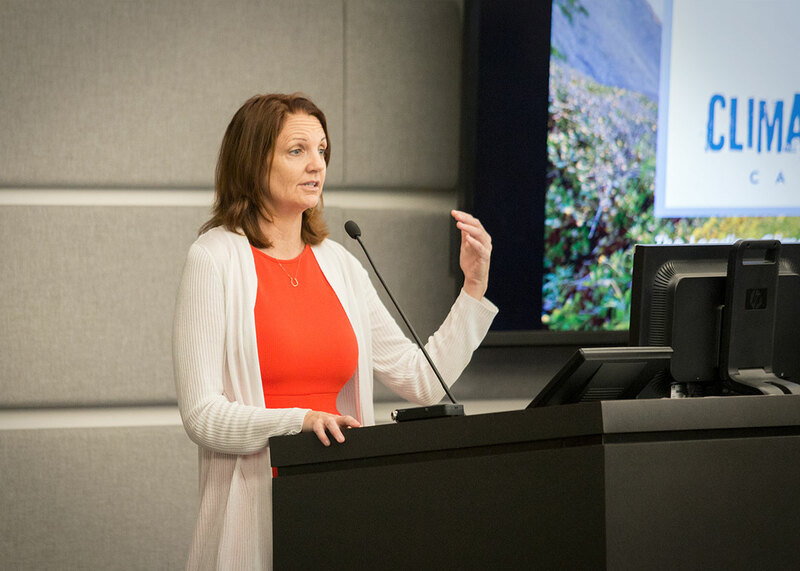 Capretz, who authored the plan, gave a talk recently about its success and challenges at the California Energy Commission. “We were the first city out of the gate - and it started a competition,” she said. The result was a cascading effect - where other cities in the San Diego region wanted to jump on the climate action plan bandwagon. Capretz now works with 13 municipalities in San Diego and Orange counties to develop similar plans. She said adoption of the plan was never a foregone conclusion in a city with a sizeable conservative population. To gain support, she engaged residents at the hyper-local level. Implementing the plan has not been without challenges. At present, the city has fallen behind on some land use and transportation targets, Capretz said. San Diego’s relationship to renewable energy continues to evolve. The city is currently doing a technical study on a community choice energy plan. That plan will be complete at the end of the year. San Diego’s climate action plan is expected to add momentum to other policies that encourage renewable energy while helping California meet the goal of getting 50 percent of its electricity from renewable sources by 2030.